The Supreme Court has been scaling back the scope of class action litigation in recent years, but a recent wage and hour case in the Second Circuit shows that there is still some life in these cases. The case is Roach v. T.L. Cannon Corp., decided on February 10. The plaintiffs used to work for Applebee's restaurants. They claim defendants did not pay hourly employees an extra hour of pay when working a ten-hour day, as required under New York law. Cases like this are ripe for class actions, because if management is engaging this practice, it is probably affecting many employees the same way. But the Northern District of New York said recent Supreme Court (the Comcast ruling) authority prevents a class action because the plaintiffs are unable to "offer a damages model that is susceptible of measurement across the entire class." In other words, the district court said, the damages for each class member are too individualized for there to be a workable class action. Wrong, wrong, wrong, says the Court of Appeals (Droney, Jacobs and Kaplan [D.J.]). Comcast did not reach that far. "Comcast ... did not hold that a class cannot be certified under Rule 23(b)(3) simply because damages cannot be measured on a classwide basis. ... Comcast's holding was narrower. 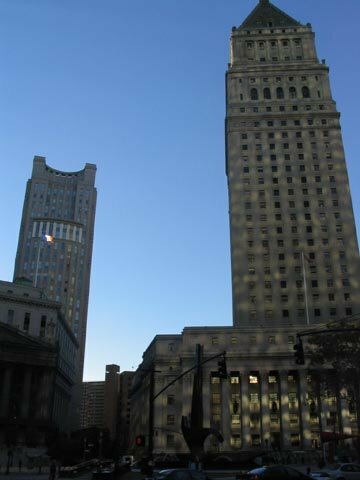 Comcast held that a model for determining classwide damages relied upon to certify a class under Rule 23(b)(3) must actually measure damages that result from the class's asserted theory of injury; but the Court did not hold that proponents of class certification must rely upon a classwide damages model." Since Comcast did not address the issue in this case, the Court of Appeals looks to Second Circuit precedent, which has long held that "the fact that damages may have be ascertained on an individual basis is not sufficient to defeat class certification." That remains good law until the Supreme Court finds a way around it. The case is sent back to the Northern District for a new ruling on class certification.